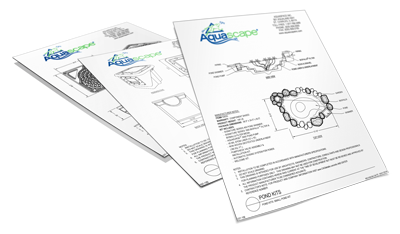 AquaBlox® Water Storage Modules - Aquascape, Inc. The Aquascape AquaBlox® Water Storage Module displaces water for use with Pondless Waterfall reservoirs, rainwater harvesting projects, and other various water feature applications. AquaBlox are manufactured using recycled materials and designed to efficiently maximize water storage capacity, providing the ability to hold more water with a smaller reservoir footprint. Each AquaBlox will hold approximately 7.4 gallons of water per cubic foot, allowing over 3 times the water storage capacity than gravel will provide. This extra storage capacity will mean less time needed to top off the reservoir due to evaporation. Using AquaBlox will also decrease the amount of labor, liner, and underlayment required during installation. The load-bearing top will support up to 5,472 pounds per square foot, providing years of trouble-free enjoyment and allowing for installation in a wide variety of situations. 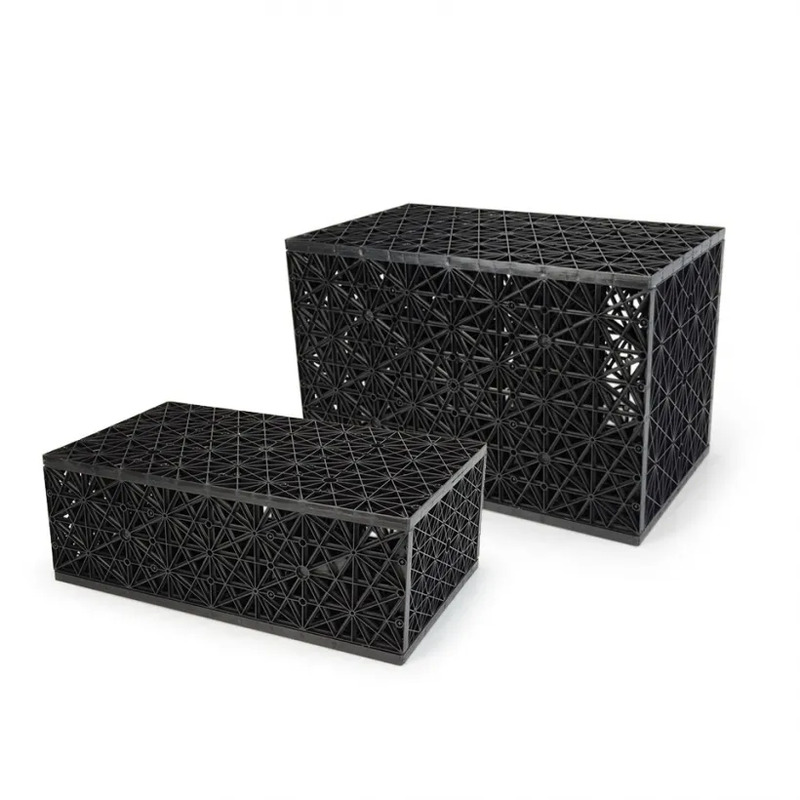 Aquascape AquaBlox are easier to clean, less prone to clogging, and come complete with the top, bottom, two sides and four structural supports.